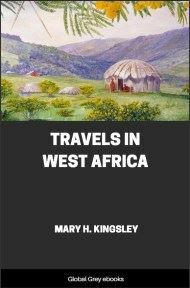 Originally published in 1897, this is Mary Kingsley's account of her travels through Congo Français, Corisco and Cameroon. 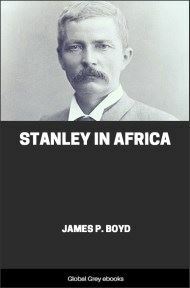 Chapters include Disease In West Africa, Trade And Labour In West Africa, Fetish, Ascent Of The Great Peak Of Cameroons, From Esoon To Agonjo, and, The Rapids Of The Ogowé. Setting forth how the voyager departs from England in a stout vessel and in good company, and reaches in due course the Island of the Grand Canary, and then the Port of Sierra Leone: to which is added some account of this latter place and the comeliness of its women. Wherein also some description of Cape Coast and Accra is given, to which are added divers observations on supplies to be obtained there. 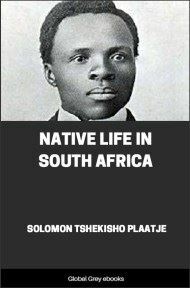 The West Coast of Africa is like the Arctic regions in one particular, and that is that when you have once visited it you want to go back there again; and, now I come to think of it, there is another particular in which it is like them, and that is that the chances you have of returning from it at all are small, for it is a Belle Dame sans merci. I succumbed to the charm of the Coast as soon as I left Sierra Leone on my first voyage out, and I saw more than enough during that voyage to make me recognise that there was any amount of work for me worth doing down there. So I warned the Coast I was coming back again and the Coast did not believe me; and on my return to it a second time displayed a genuine surprise, and formed an even higher opinion of my folly than it had formed on our first acquaintance, which is saying a good deal. During this voyage in 1893, I had been to Old Calabar, and its Governor, Sir Claude MacDonald, had heard me expatiating on the absorbing interest of the Antarctic drift, and the importance of the collection of fresh-water fishes and so on. So when Lady MacDonald heroically decided to go out to him in Calabar, they most kindly asked me if I would join her, and make my time fit hers for starting on my second journey. This I most willingly did. But I fear that very sweet and gracious lady suffered a great deal of apprehension at the prospect of spending a month on board ship with a person so devoted to science as to go down the West Coast in its pursuit. During the earlier days of our voyage she would attract my attention to all sorts of marine objects overboard, so as to amuse me. I used to look at them, and think it would be the death of me if I had to work like this, explaining meanwhile aloud that “they were very interesting, but Haeckel had done them, and I was out after fresh-water fishes from a river north of the Congo this time,” fearing all the while that she felt me unenthusiastic for not flying over into the ocean to secure the specimens. However, my scientific qualities, whatever they may amount to, did not blind this lady long to the fact of my being after all a very ordinary individual, and she told me so - not in these crude words, indeed, but nicely and kindly - whereupon, in a burst of gratitude to her for understanding me, I appointed myself her honorary aide-de-camp on the spot, and her sincere admirer I shall remain for ever, fully recognising that her courage in going to the Coast was far greater than my own, for she had more to lose had fever claimed her, and she was in those days by no means under the spell of Africa. But this is anticipating. It was on the 23rd of December, 1894, that we left Liverpool in the Batanga, commanded by my old friend Captain Murray, under whose care I had made my first voyage. On the 30th we sighted the Peak of Teneriffe early in the afternoon. It displayed itself, as usual, as an entirely celestial phenomenon. A great many people miss seeing it. Suffering under the delusion that El Pico is a terrestrial affair, they look in vain somewhere about the level of their own eyes, which are striving to penetrate the dense masses of mist that usually enshroud its slopes by day, and then a friend comes along, and gaily points out to the newcomer the glittering white triangle somewhere near the zenith. On some days the Peak stands out clear from ocean to summit, looking every inch and more of its 12,080 ft.; and this is said by the Canary fishermen to be a certain sign of rain, or fine weather, or a gale of wind; but whenever and however it may be seen, soft and dream-like in the sunshine, or melodramatic and bizarre in the moonlight, it is one of the most beautiful things the eye of man may see. Soon after sighting Teneriffe, Lançarote showed, and then the Grand Canary. Teneriffe is perhaps the most beautiful, but it is hard to judge between it and Grand Canary as seen from the sea. The superb cone this afternoon stood out a deep purple against a serpent-green sky, separated from the brilliant blue ocean by a girdle of pink and gold cumulus, while Grand Canary and Lançarote looked as if they were formed from fantastic-shaped sunset cloud-banks that by some spell had been solidified. The general colour of the mountains of Grand Canary, which rise peak after peak until they culminate in the Pico de las Nieves, some 6,000 feet high, is a yellowish red, and the air which lies among their rocky crevices and swathes their softer sides is a lovely lustrous blue.